Custom packaging is the current trend in the market. Every brand or company is opting for custom packaging to win the race of being on the top. No matter in which business you are, considering custom boxes for showcasing the products is necessary. Not just brands, customers also judge a product based on its quality and packaging as well. So, it is crucial for brands to come up with unique and creative ideas for custom packaging. Custom boxes are one of the preferable options as it provides great shelf impact and maximum protection. Among custom boxes, die cut are the versatile and ideal solution for effective presentation of the product. Die cut boxes have a design which can fit any product flawlessly. Die Cut Boxes come in different shapes and form. Each box is different from other and provides the unique answer for the packaging needs of any kind of product. 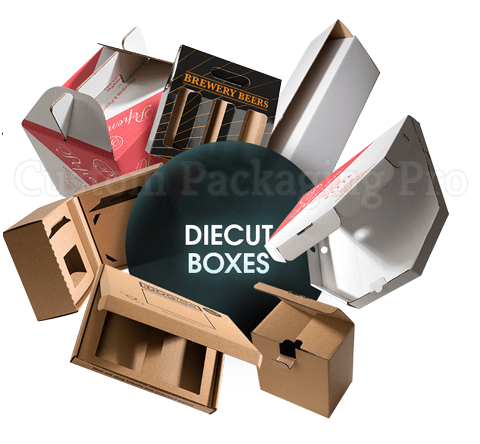 Die cut boxes are quite effective and also environment-friendly due to the material of these boxes is recyclable. The flexible design allows you to modify the box shapes according to the product. With lots of customizing options, you can increase the visual appeal to catch the eye of customers. From retail display and safe shipping, these boxes meet all requirements of perfect packaging. Apart from square or rectangular shapes, custom die cut boxes are accessible in every desired shape. When it comes to packaging, die cut boxes is always the first choice of brands and retailers as well. Custom die cut boxes are necessary to meet the needs of modern packaging. The boxes imprinted with company's name and logo shows the professionalism of your brand. To create extra buzz about the product, you can have die cut boxes in any style and shape. The presentation is the first thing to consider for boxes and it should be on point, here custom die cut boxes can help you. From reverse end to top tuck bottom, these boxes with die cut style can promote your brand in a professional way. Custom die cut boxes come with auto flaps and locks which provide flawless sealing. The flaps have tucks at the edges which provide secure closure. It prevents the die cut box from opening and the product from any damage. You can also use crash locks and self-locking locks for extra safety. Most of the style of die-cut boxes need no tape that is why you can use these boxes for display in stores. It doesn't mean that you can avoid tapping, but the tap require for these boxes is less than other packaging options. The primary concern of retailers about custom die cut boxes is the storage and shipping cost. These boxes are usually shipped flat for convenient storing and transportation. It is the top choice for customers and retailers as they require the minimum time for assembling and folding. Customers always prefer packaging that they can interact with easily. Custom die cut boxes are easy to use and handle. Customers can fold and store these boxes for later use. When in need, they can assemble these into a perfect shape. Die cut boxes are versatile and flexible in design. You can have these boxes in any custom size and shape. By presenting the box with window cut and unique shapes, you can trigger customer's emotion and attention. In addition, the die cut boxes are capable of every type of customization and printing. With lots of versatile options, you can have a box that stands out. From customization to cutting edges, the versatility of die cut boxes extends to much extent. 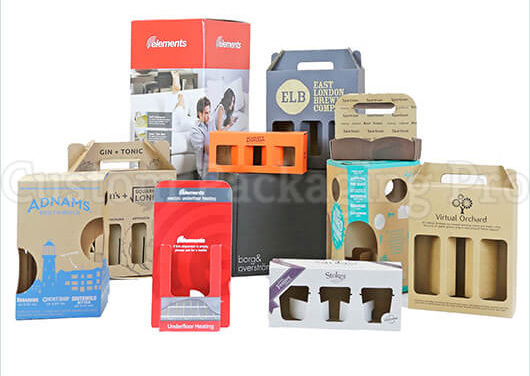 Choosing die cut box can make your packaging stylish with much flexibility and adaptability. All custom die cut boxes come in eco-friendly material and will allow your brand to show that you are green. It will not only benefit the environment but also it will be a plus point for the brand. That is why more and more companies are opting for custom die cut boxes. It requires less material in manufacturing and packaging. Customers can also reuse these boxes in many ways. Encourage people to reuse the box with the creative design that ensures maximum reusability. From lantern to planters, die cut boxes can be useful in many ways. Unique custom die cut boxes on stores shelves can grab the attention of shoppers and can induce them to buy the product. Eye-catching colors and graphics can make these boxes more prominent at every step. Not only attraction, custom die cut boxes come with added protection and strength for your products, especially for fragile and delicate items. It will increase the shelf life of box and reduce the risk of any damage. Another reason to use die cut boxes is to reduce the high production and shipping cost. Custom die cut boxes have many benefits not only for the brand but also for retailers and customers as well. To stand out with die cut boxes, get in touch with Custom Packaging Pro. We provide more personalized and professional solution for your packaging needs.